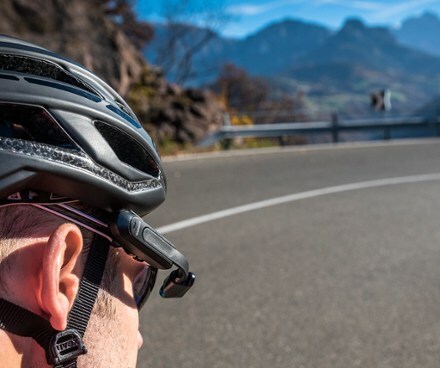 Specifically, don’t buy the Garmin Varia Vision. 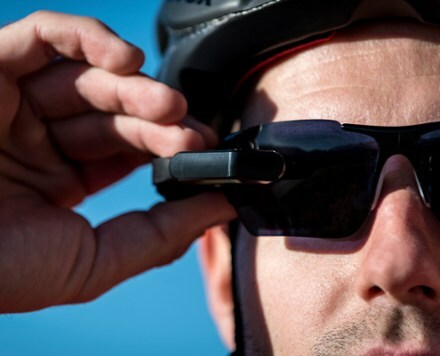 Can also display information from a rear-facing camera (not included), which would seem to make a mockery of their claim that this thing decreases distractions. This entry was posted in I liked it better the old way, Such a bargain! on May 16, 2016 by stern. 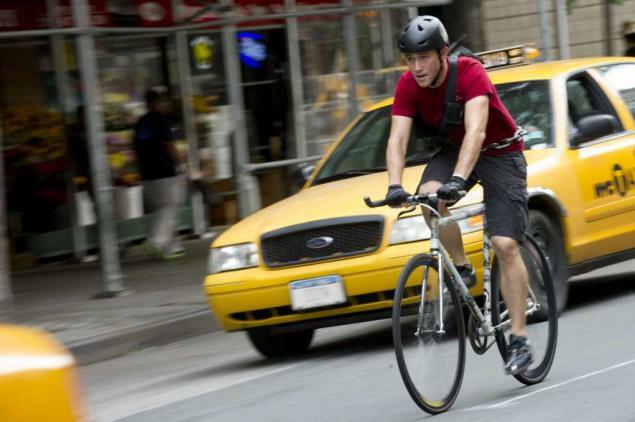 I rewatched the 2012 David Koepp / Joseph Gordon-Levitt movie Premium Rush last night, and noticed one problem. It wasn’t the comically dated flash mob at the end. It wasn’t the couple of times Gordon-Levitt teleported, once from the West Side to the East Side, another time from 105th Street back up to 110th. It wasn’t the time the guy on the fixed-gear bicycle kept up with a geared bike down the big hill in Central Park, nor the bizarre ongoing argument over whether or not one should have a brake on a fixed-gear bike (you shouldn’t, it adds nothing). 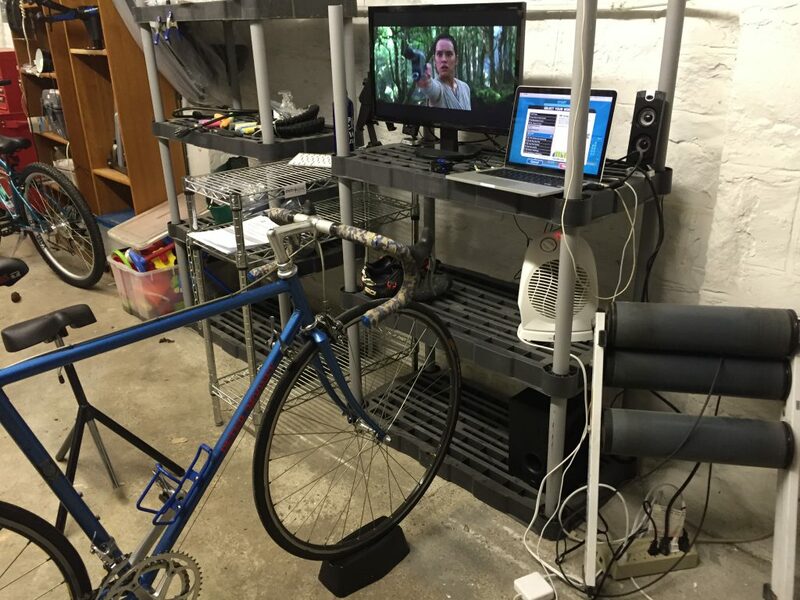 No, the problem was the moment, about 1/3 of the way through the film, when corrupt cop Michael Shannon walks out of his stationhouse, sees a bicycle chained to a pole, and recognizes it as Gordon-Levitt’s. Non-riders never notice bikes in that kind of detail. There is no way he would have noticed that this bike is the same as the one he had been chasing down Broadway 20 minutes earlier. No way. This entry was posted in Famous people on wheels on May 13, 2016 by stern. While this may be a little outside the core competency of Wheeled Thing – it is something we know all too much about. 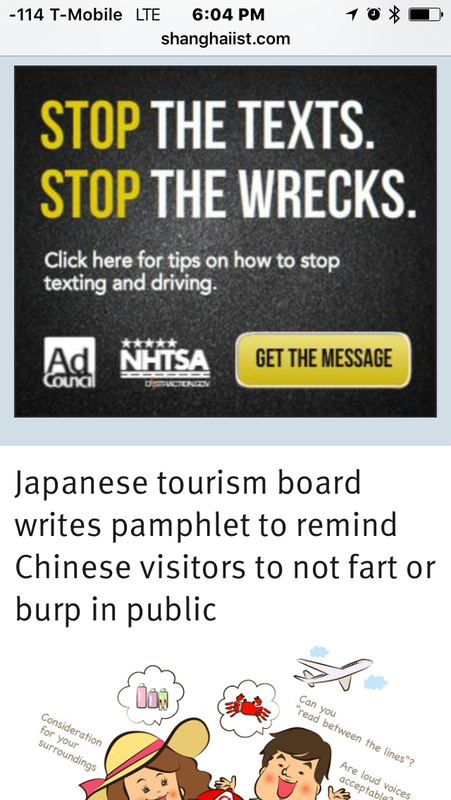 Was this ad served because we should not burp and fart while texting and/or driving? What kind of tips do you need not to text and drive? 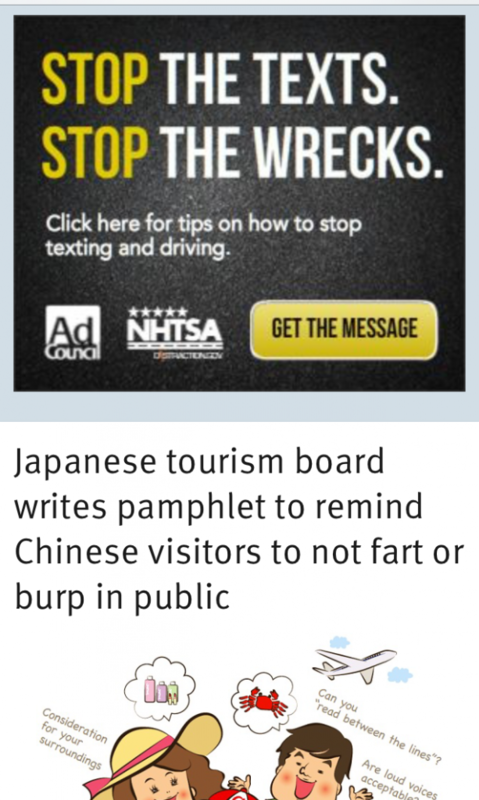 I mean, I could use some tips to prevent farting and burping, but if you are driving, don’t text – how hard is that? This entry was posted in It's a floor wax *and* a dessert topping, Oh, Think of the children!, Wheelmen Aroused on May 1, 2016 by Gary.